First Place®, an Arizona-based nonprofit serving adults with autism and other special needs, announces the appointment of Rob Leinbach, the former President and COO of Walton Global Holdings (USA), Ltd. (“Walton”), to its Board of Directors. First Place is advancing new residential options for adults with autism and related disorders, and is underway on First Place-Phoenix, a transit-oriented property sited in the heart of the city at 3rd Street and Catalina. Groundbreaking is expected in 2016. Walton, a Canadian based real estate investment and development company, experienced tremendous growth in the United States during Leinbach’s nine-year tenure with the firm. Prior to joining Walton, Leinbach was an attorney in private practice in Seattle, Washington. 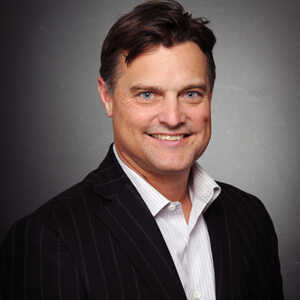 Leinbach received his Board of Directors Certification from the UCLA Anderson School of Business in 2010. Leinbach received his J.D. from the University of Washington School of Law, his M.B.A. from European University (Barcelona, Spain) and his Bachelor of Arts from Occidental College. Leinbach is a member of the Urban Land Institute and resides in Phoenix with his wife Jenni, daughter Alison and son Lucas. Lucas was diagnosed with autism in 2015.